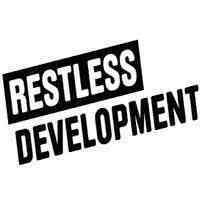 Restless Development is a global agency for youth-led development. Restless Development Tanzania has been operating for 25 years. In the coming year, more than 500 young leaders will work across 10 regions in the country, supported by Restless Development staff in Dar es-Salaam, Iringa, Ruvuma, Njombe, Dodoma, Morogoro and Kilimanjaro. Restless Development aims to work with young people’s priorities, equipping them to find solutions on matters that affect them. In Tanzania, this means specifically focusing on youth Voice, Living and Sexual Rights across 8 programmes. • Printing and photocopying services. • Repair and maintenance of motor vehicles and office generators. • Car hire services (Salon, minivan and 4*4 Vehicles). • Maintenance and repair of electronic equipment e.g. computers, printers etc. For more information, please download the Instructions Document below and send a completed Application Form to [email protected].org, or come to our office at Regent Business Park (Wing A, First Floor), Behind Shoppers Plaza, Mikocheni, Dar es Salaam by 4pm (EAT time) 18th April 2019.